Splendid Cinema is about to go all amore this Spring, as we screen Woody Allen’s latest Euro-treat, To Rome With Love (2012) on 7 April. In To Rome with Love, five romantic comedies interweave around the Italian capital. Opera singers are discovered (but who can only sing in the shower), famous Italian heartthrobs fall in love with lost housewives, prostitutes are passed off as wives, everyday Italians become media superstars and a middle-aged American architect tries to give his younger self love advice from the future. Written and directed by Woody Allen (his 43rd film! ), To Rome with Love sports an International cast of Americans, Italians, Spanish, Australians and even two Canadians: Allen himself, Alec Baldwin, Roberto Benigni, Penelope Cruz, Judy Davis, Jesse Eisenberg, Alison Pill and Ellen Page. While Allen’s films are often hit and miss, To Rome with Love offers sufficient laughs and romantic subplots to warm even the most cynical of movie fans. 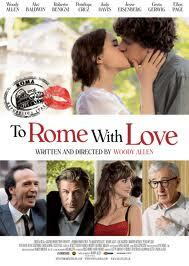 To Rome with Love (US/Italy/Spain, 2012, Woody Allen) 107 min. 12 Cert. British Horror has never sounded better: Berberian Sound Studio 17 March! British writer-director Peter Strickland’s acclaimed psychological horror thriller, Barberian Sound Studio (2012), will be next up at Splendid Cinema on 17th March. Set in the 1970s, the film’s central character, Gilderoy (Toby Jones), an English sound technician hired to work on a soundtrack for an Italian horror film, finds himself trapped in a claustrophobic sound studio. Immersed in the horrific sounds, Gilderoy spends his days stabbing and punching vegetables to get the desired effects. And gradually finds himself losing his grasp on reality. Peter Strickland orchestrates a film which celebrates the pleasures of the Italian giallo film without resorting to the gruesome imagery which often characterizes the genre, and yet never sacrifices Gilderoy’s humanity. Listed as one of the best films made in 2012 by the Sight and Sound annual critics’ poll, Barberian Sound Studio won several awards at the British Independent Film Awards, including the Best Achievement in Production, Best Technical Achievement, and Best Director, as well as earning actor Toby Jones a nomination for Best Actor at the Golden Globes. In addition, Worcester’s only independent cinema will also be screening A Child’s Toy a short film by Tom Lee Rutter, before the feature as part of the Splendid Cinema’s initiative supporting local filmmakers. 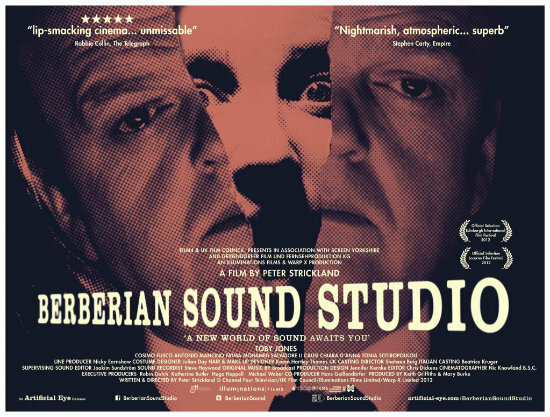 Berberian Sound Studio (UK, 2012, Peter Strickland) 92 min. 15 Cert. Take This Waltz (2012) is Canadian actor/writer/director Sarah Polley‘s follow up to her internationally acclaimed debut, Away from Her (2006), and will be screened as part of Splendid Cinema’s 2013 Season on 10 February. The romantic comedy-drama follows Margot (Michelle Williams), a 28-year-old free-lance writer, who finds herself struggling to find happiness in a beautiful, but routine, marriage with Lou (Seth Rogen). During a work trip to Nova Scotia, she meets a handsome young man named Daniel (Luke Kirby), and the chemistry the two obviously share, complicates Margot’s life. Director Polley’s film is a definite visual treat for the audience, capturing the story of the restless human struggle in a romantic looking Toronto and its colourful neighbourhoods. The beautifully photographed city becomes an engaging poetic and slightly idyllic environment, which would make anyone dream of crossing the Atlantic. Empire magazine’s David Hughes called Take This Waltz “a masterfully painted portrait of an ordinary marriage under threat, dominated by a central performance of exquisite subtlety and observation“. Nominated for several Genie awards (the Canadian Oscars), including a Best Actress nomination for Williams, Take This Waltz is a romantic fairy-tale of a film for anyone who has ever fallen in love. In addition, Worcester’s only independent cinema will also be screening I would…, a short film by John Blox, before Take this Waltz as part of the Splendid Cinema’s initiative supporting local filmmakers. The screening starts at Worcester Arts Workshop, 21 Sansome Street at 6.30pm with the box office open from 6pm. Tickets are £5 in advance or on the door with Café Bliss open for a pre-show treat. 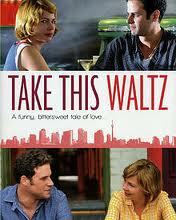 Take This Waltz (Canada, 2012, Sarah Polley) 116 min. 15 Cert. This Christmas, Splendid Cinema offers up Yuletide horror! On 9 December, Splendid Cinema is very proud to be screening a brand new Christmas horror film, Silent Night, Bloody Night: The Homecoming ! 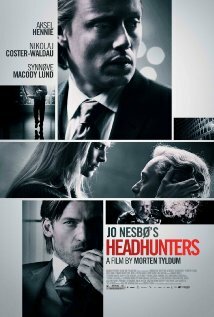 Writer/Director James Plumb will also be in attendance for a post-screening Q&A. The abandoned home of Wilfred Butler, a wealthy but troubled man who committed suicide in 1987, has been willed to his grandson, Jeffrey. Just before Christmas 2012, many years after Wilfred’s death, Jeffrey and his lawyer appear in town to negotiate the sale of the property. But an Axe wielding maniac has set up residence in the house, and he doesn’t take kindly to strangers. Shot in 10 days, in and around Swansea and Carmarthen, this is a Welsh horror film, through and through. Silent Night, Bloody Night: The Homecoming is loosely based on the 1972 British thriller film of the same name, but updates the action to 2012 and is filled with fanboy & fangirl references by one of British horror’s newest auteurs. The film stars Adrienne King, star of the first two Friday the 13th films. Co-writer and director James Plumb will be on hand for a Q&A session after the film. This is an amazing opportunity for students of Film Studies, Screenwriting and Digital Film Production to meet and talk with a working independent filmmaker. Silent Night, Bloody Night: The Homecoming (UK, 2012, James Plumb) 85 min. 18 Cert.